Hamlet and Oedipus is a study of William Shakespeare's Hamlet in which the title character's inexplicable behaviours are subjected to investigation along psychoanalytic lines. The study was written by Sigmund Freud's colleague and biographer Ernest Jones, following on from Freud's own comments on the play, as expressed to Wilhelm Fliess in 1897, before being published in Chapter V of The Interpretation of Dreams (1899). In Freud's wake, Jones explains Hamlet's mysterious procrastination as a consequence of the Oedipus Complex: the son continually postpones the act of revenge because of the impossibly complicated psychodynamic situation in which he finds himself. Though he hates his fratricidal uncle, he nevertheless unconsciously identifies with him—for, having killed Hamlet's father and married his mother, Claudius has carried out what are Hamlet's own unconscious wishes. In addition, marriage to Hamlet's mother gives the uncle the unconscious status of the father—destructive impulses towards whom provoke great anxiety and meet with repression. Jones' investigation was first published as "The Œdipus-complex as an Explanation of Hamlet's Mystery: A Study in Motive" (in The American Journal of Psychology, January 1910); it was later expanded in a 1923 publication; before finally appearing as a book-length study (Hamlet and Oedipus) in 1949. Freud had originally linked the writing of Hamlet (with its oedipal subtext) to the death of Shakespeare's father in 1601, but had to abandon this view when he gave his support to the Oxfordian theory of Shakespeare authorship – something Jones always rejected in his study. Historian Peter Gay, writing in 1986, described Hamlet and Oedipus as "still controversial", noting that the work has been criticized as "literal-minded and unliterary". Gay considered Hamlet and Oedipus persuasive, but only as a "modest psychoanalytic explanation of Hamlet's hesitation". ^ Gay, Peter (1986). The Bourgeois Experience Victoria to Freud. Volume II: The Tender Passion. New York: Oxford University Press. p. 435. 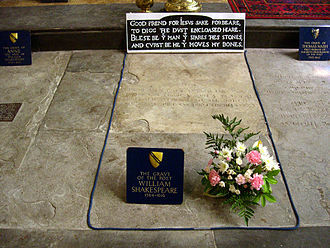 ISBN 0-19-503741-3.
http://www.shakespeare-navigators.com/jones/ A summary of and the complete text of Jones' 1910 essay which expanded into his 1949 book, Hamlet and Oedipus. Antigone is a tragedy by Sophocles written in or before 441 BC. 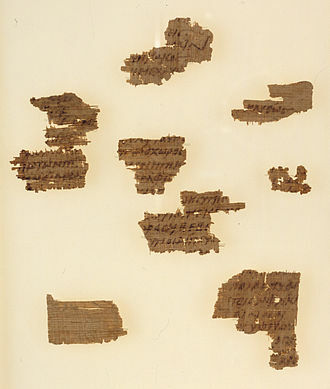 It is the third of the three Theban plays but was the first written, the play expands on the Theban legend that predated it and picks up where Aeschylus Seven Against Thebes ends. In the beginning of the play, two brothers leading opposite sides in Thebes civil war died fighting each other for the throne, the new ruler of Thebes, has decided that Eteocles will be honored and Polyneices will be in public shame. The rebel brothers body will not be sanctified by holy rites, and will lie unburied on the battlefield, prey for animals like worms and vultures. 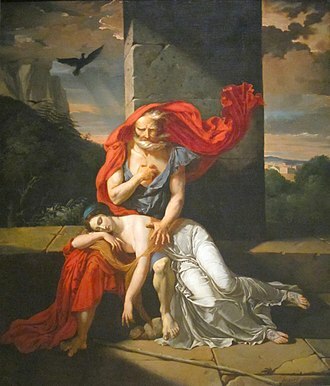 Antigone and Ismene are the sisters of the dead Polyneices and Eteocles, in the opening of the play, Antigone brings Ismene outside the palace gates late at night for a secret meeting, Antigone wants to bury Polyneices body, in defiance of Creons edict. Ismene refuses to help her, not believing that it will actually be possible to bury their brother, who is under guard, Creon enters, along with the Chorus of Theban Elders. 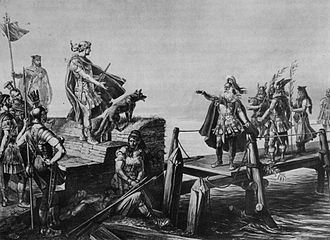 He seeks their support in the days to come, and in particular wants them to back his edict regarding the disposal of Polyneices body, the Leader of the Chorus pledges his support out of deference to Creon. 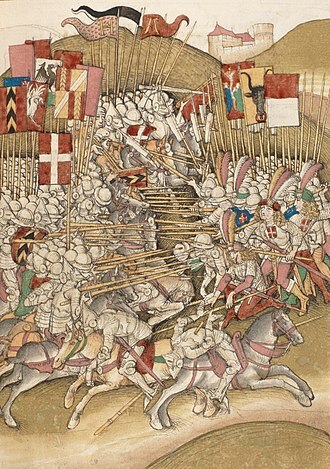 A Sentry enters, fearfully reporting that the body has been given funeral rites, furious, orders the Sentry to find the culprit or face death himself. The Sentry leaves and the Chorus sings about honouring the gods, the Sentry explains that the watchmen uncovered Polyneices body, and caught Antigone as she did the funeral rituals. Creon questions her after sending the Sentry away, and she does not deny what she has done and she argues unflinchingly with Creon about the morality of the edict and the morality of her actions. Creon becomes furious, thinking Ismene must have known of Antigones plan, seeing her upset, Ismene tries to confess falsely to the crime, wishing to die alongside her sister, but Antigone will not have it. Creon orders that the two women be temporarily imprisoned, Creons son, enters to pledge allegiance to his father, even though he is engaged to Antigone. Seven Against Thebes is the third play in an Oedipus-themed trilogy produced by Aeschylus in 467 BC. The trilogy is sometimes referred to as the Oedipodea and it concerns the battle between an Argive army led by Polynices and the army of Thebes led by Eteocles and his supporters. The trilogy won the first prize at the City Dionysia, the trilogys first two plays and Oedipus, as well as the satyr play Sphinx, are no longer extant. When Oedipus, King of Thebes, realized he had married his own mother and had two sons and two daughters with her, he blinded himself and cursed his sons to divide their inheritance by the sword. The two sons and Polynices, in order to avoid bloodshed, agreed to rule Thebes in alternate years, after the first year, Eteocles refused to step down, leading Polynices to raise an army of Argives to take Thebes by force. This is where Aeschylus tragedy starts, dialogues show aspects of Eteocles character. There is a description of each of the seven captains that lead the Argive army against the seven gates of the city of Thebes as well as the devices on their respective shields. Eteocles, in turn, announces which Theban commanders he will send against each Argive attacker, the commander of the troops before the seventh gate is revealed to be Polynices, the brother of the king. Then Eteocles remembers and refers to the curse of their father Oedipus, Eteocles resolves to meet and fight his brother in person before the seventh gate and exits. Following a choral ode, a messenger enters, announcing that the attackers have been repelled and their bodies are brought on stage, and the chorus mourns them. Due to the popularity of Sophocles play Antigone, the ending of Seven against Thebes was rewritten about fifty years after Aeschylus death, others appear as stock figures to fill out the list, Burkert remarks. 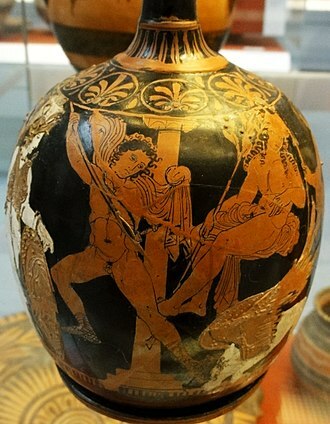 The city is saved when the brothers simultaneously run each other through, the mythic theme passed into Etruscan culture, a fifth-century bronze mirrorback is inscribed with Fulnice and Evtucle running at one another with drawn swords. The Seven Against Thebes were Adrastus Amphiaraus Capaneus Hippomedon Parthenopeus Polynices Tydeus Allies, some sources, state that Eteoclus and Mecisteus were in fact two of the seven, and that Tydeus and Polynices were allies. Oedipus is a fabula crepidata of c.1061 lines of verse that was written by Lucius Annaeus Seneca at some time during the 1st century AD. It is a retelling of the story of Oedipus, which is known through the play Oedipus Rex by the Athenian playwright. 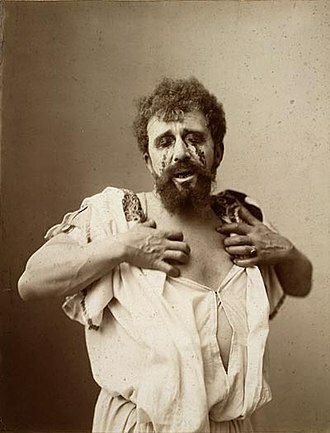 Oedipus is the king of Thebes, husband of Jocasta, and he is the main protagonist of the play. 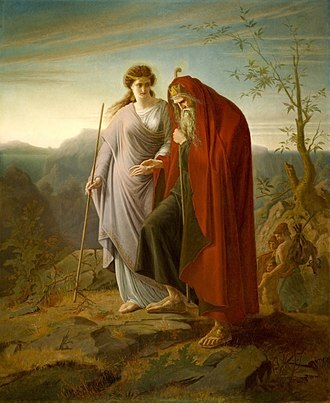 She is used in the play to describe Tiresias sacrifice to him, an Old Man is a messenger from Corinth who comes to tell Oedipus that Polybus is dead, and reveals part of Oedipus history to him. Phorbas is an old shepherd who had given Oedipus to the Old Man when he was a child and who reveals Oedipus real parentage to him. Messenger is the man who relates what has happened to Oedipus in the beginning of Act 5 The chorus are singers that help the audience understand what emotion they should feel after a scene. The play opens with a fearful Oedipus lamenting a vicious plague which is affecting Thebes, people are dying in such huge numbers that there are not enough of the living to ensure that each of the victims is cremated. He mentions a prophecy that he had received from Apollo before he came to Thebes that he would kill his father and he had thus fled the kingdom of his father Polybus. 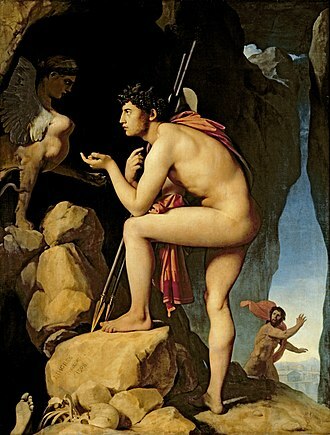 However, Oedipus is so disturbed by what is occurring in Thebes that he considers returning to his home city. Jocasta makes him more resolute though, and he stays, Creon returns from the Oracle at Delphi with the instruction that Thebes needs to avenge the death of the former king Laius for the plague to end. Oedipus utters a curse on the yet unrevealed killer, by wishing for him the crimes that I have fled from. 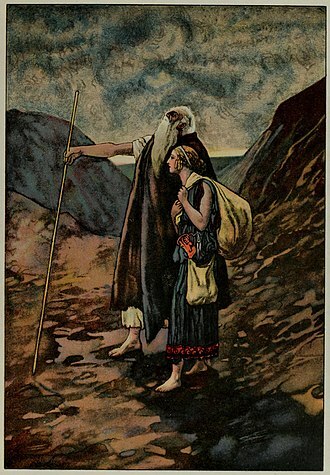 The prophet Tiresias appears and is asked by Oedipus to make clear the meaning of the oracle and he proceeds to carry out a sacrifice, which contains a number of horrific signs. As Tiresias does not have the name he proposed to summon Laius’ spirit back from Erebus to name his slayer, Creon returns from seeing Tiresias after he has spoken to Laius ghost, but is unwilling to reveal to Oedipus the killer’s name. Oedipus threatens him, and Creon relents and he says Laius accuses the king of having blood on his hands, and who has defiled his father’s marriage-bed. Ismene is the name of the daughter and half-sister of Oedipus and granddaughter of Jocasta, and sister of Antigone and Polynices. She appears in plays of Sophocles, at the end of Oedipus Rex, in Oedipus at Colonus. She appears at the end of Aeschylus Seven Against Thebes, when Oedipus stepped down as King of Thebes, he gave the kingdom to Eteocles and Polynices, who both agreed to alternate the throne every year. However, after the first year, Eteocles refused to step down, both brothers died in the battle. King Creon, who ascended to the throne of Thebes, decreed that Polynices was not to be buried, Antigone defied the order and was caught. 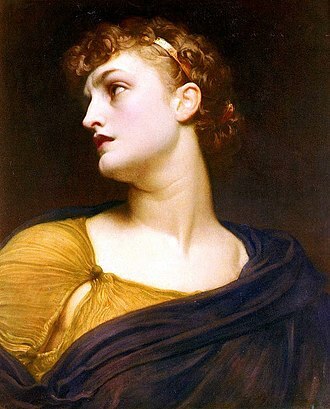 While Antigone resolves to honor her brother at all costs, Ismene laments that while she too loves her brother, her disposition does not allow her to defy the state and become an outlaw. 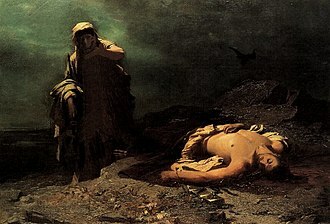 Once Antigone was caught, in spite of her betrothal to his son Haemon, Creon decreed that she was to be buried alive, Ismene declared she had aided Antigone and wanted the same fate, though she did not participate in the crime. Alfred Ernest Jones, FRCP, MRCS was a British neurologist and psychoanalyst. 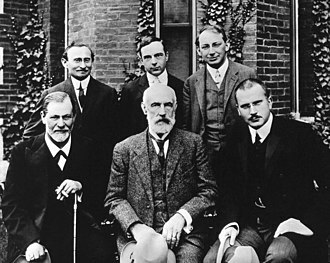 A lifelong friend and colleague of Sigmund Freud from their first meeting in 1908, Jones was the first English-speaking practitioner of psychoanalysis and became its leading exponent in the English-speaking world. Ernest Jones was born in Gowerton, Wales, a village on the outskirts of Swansea. His father was a colliery engineer who went on to establish himself as a successful business man, becoming accountant. His mother, Mary Ann, was from a Welsh-speaking Carmarthenshire family which had relocated to Swansea, Jones was educated at Swansea Grammar School, Llandovery College, and Cardiff University in Wales. Jones studied at University College London and meanwhile he obtained the Conjoint diplomas LRCP, a year later, in 1901, he obtained an M. B. degree with honours in medicine and obstetrics. Within five years he received an MD degree and a Membership of the Royal College of Physicians in 1903 and he was particularly pleased to receive the Universitys gold medal in obstetrics from his distinguished fellow-Welshman, Sir John Williams. 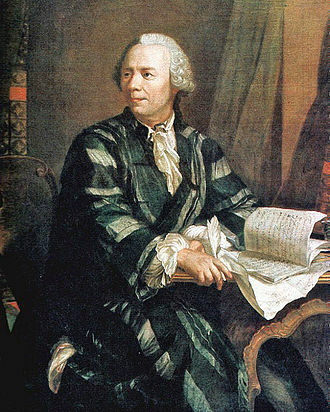 After obtaining his degrees, Jones specialised in neurology and took a number of posts in London hospitals. It was through his association with the surgeon Wilfred Trotter that Jones first heard of Freuds work, having worked together as surgeons at University College Hospital, he and Trotter became close friends, with Trotter taking the role of mentor and confidant to his younger colleague. They had in common a wide-ranging interest in philosophy and literature, as well as a growing interest in Continental psychiatric literature, by 1905 they were sharing accommodation above Harley Street consulting rooms with Joness sister, installed as housekeeper. Trotter and Elizabeth Jones married, appalled by the treatment of the mentally ill in institutions, Jones began experimenting with hypnotic techniques in his clinical work. 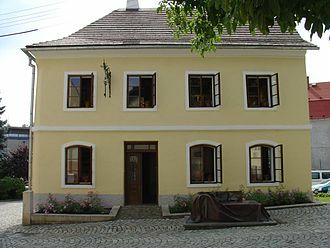 Jones first encountered Freuds writings directly in 1905, in a German psychiatric journal in which Freud published the famous Dora case-history, Joness early attempts to combine his interest in Freuds ideas with his clinical work with children resulted in adverse effects on his career. Shakespeare's First Folio was dedicated to Philip Herbert, 4th Earl of Pembroke and his brother William Herbert. 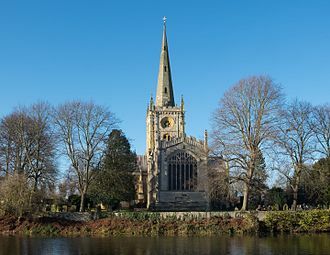 Philip Herbert was married to Oxford's daughter, Susan de Vere. Oedipe (opera) at Royal Opera House in London - standing ovations (24 May 2016). Eteocles and Polynices, by Giovanni Battista Tiepolo, from the Ca' Dolfin Tiepolos.